At this point in time we have tested the functionality of everything except the android calendar integration. You can schedule tasks, save settings, store scheduled days, and get notifications even if you phone is asleep. Theses comprise the entire core functionality of the program. There are a few things that we still have to do however. The notification screen still needs to trigger on each event and it has to display the information about the task that should be worked on. As well as implement a method of postponing or finishing tasks mid-day or mid-block allowing the user to progress to the next task for them to work on. We hope to be releasing a beta application very soon to test out the core functionality. Hello Again! It’s been a while since I last posted but not to worry, some good work has been done. We’ve redone the scheduling code to more closely match Android’s design philosophy of Content, Services, and Activities. The App now uses a Schedule_Event Activity instead of just Java code. This was a bit of a paradigm change for me and it definitely helped me understand the Android system better. The app now schedules tasks successfully but we have some issues with the Calendar. One problem that I’m having is trying to get the app to write back to the user’s calendar with all the new events that have been scheduled. This feature used to work in Android 4.0 but no longer seems to be working in 4.1. I’m not sure what changed or why but this needs more exploring. 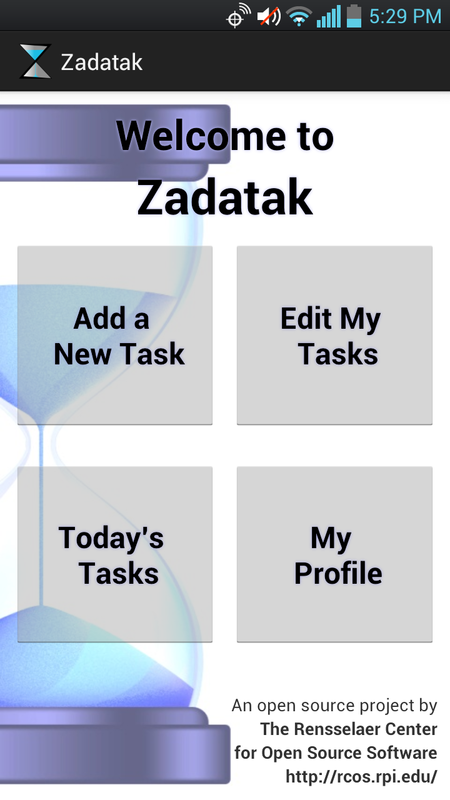 The goal would be to create a new calendar on the user’s phone called Zadatak which would house the events that we generate, with titles that match the task. Reading from the Android Calendar is giving me weird errors. Sometimes it likes to read all the events in one calendar and sometimes it reads some events from all calendars. I need to explore the Android.CalendarContract class further to fully understand why these errors are happening. So that’s what I’ve been working on these past few weeks. I look forward to your comments and suggestions! So… Zadatak stopped abruptly at the end of last semester. But we’re back! 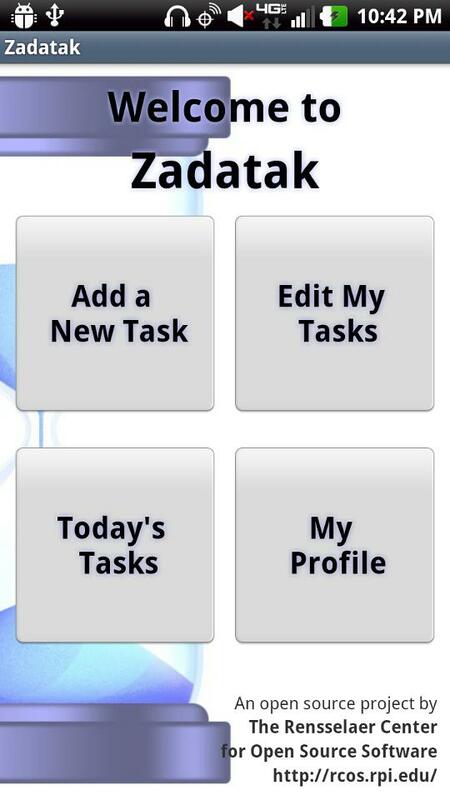 We plan to have Zadatak in the android marketplace sometime soon. Keep looking for updates.